The results of studies by researchers at Florida State University College of Medicine suggest that nicotine exposure in men could lead to cognitive deficits in their children and grandchildren. The research found that adding nicotine to the drinking water of male mice led to epigenetic changes in sperm cell genes that might impact on key neurodevelopmental pathways. The immediate offspring of these nicotine-exposed male mice exhibited hyperactivity, attention deficit, and cognitive issues that are typical of those found in attention deficit hyperactivity disorder (ADHD) and autism spectrum disorder in humans. The grandchildren of the nicotine-exposed fathers also demonstrated learning deficits, suggesting that at least some of the detrimental nicotine-related effects can be passed down through generations. Studies have shown that nicotine use by pregnant women is associated with an increased risk of behavioral disorders in their children and in subsequent generations, the authors write. 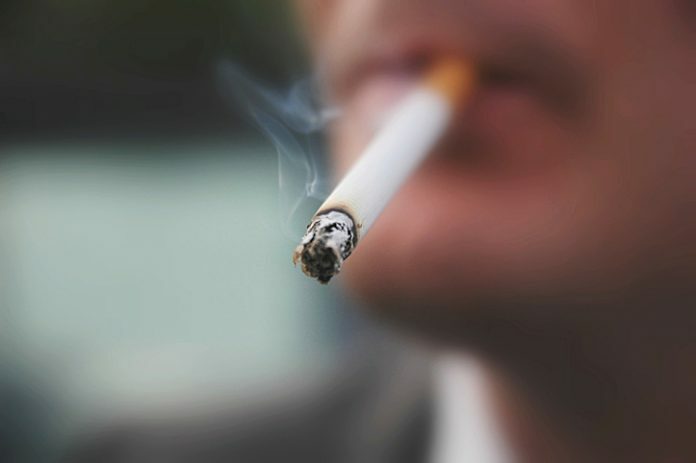 But in reality smoking is more prevalent in men than in women, and while studies in humans have suggested that paternal cigarette smoking can increase the risk of ADHD in their children, “human studies cannot fully separate the effects of paternal smoking from those of genetic and environmental factors.” ADHD and nicotine addiction often go hand-in-hand, and ADHD tends to run in families, so it can be difficult separating the role of paternal ADHD from paternal smoking on behavioral changes observed in offspring. To investigate the effects of paternal nicotine on offspring the team exposed male mice to nicotine in their drinking water for 12 weeks, and then bred the mice with drug-naïve females. Both male and female offspring (F1) were then bred with drug-naïve partners to produce a second (F2) generation of animals originating from the nicotine-exposed fathers. Tests in the resulting litters showed that both male and female F1 offspring of the nicotine-exposed fathers displayed increased spontaneous locomotor activity and deficits in reversal learning. The male offspring also exhibited “significant deficits in attention, brain monoamine content, and dopamine receptor mRNA expression,” the team comments. And while the hyperactivity and attention deficit phenotypes evident in the F1 mice weren’t transmitted to second-generation offspring, the male F2 mice did display deficits in reversal learning. An examination of the nicotine-exposed fathers’ sperm cells showed changes to global DNA methylation, and in particular, there were changes to DNA methylation at promotors of the dopamine D2 receptor gene. Dopamine receptors play a key role in neurodevelopmental processes. “Nicotine-induced spermatozoal DNA methylation at dopamine receptor promoter regions may be a plausible epigenetic mechanism for transgenerational transmission of the effects of the paternal nicotine exposure,” the authors suggest. Within the last couple of weeks, researchers at Ohio State University Wexner Medical Center independently reported studies in mice, which showed that a father’s level of exercise prior to conception may have long-lasting effects on their children's’ metabolic health. A team headed by Kristin Stanford, Ph.D., assistant professor at Ohio State University, bred high fat diet-fed obese male mice that were either sedentary or that had free access to running wheels, with female mice that were fed on a normal diet. They found that while the offspring of the sedentary obese fathers had more fat and demonstrated increased glucose intolerance than offspring of fathers fed a normal, chow diet, paternal exercise suppressed the effects of the paternal high-fat diet, and their offspring demonstrated better glucose metabolism, lower body weight, and decreased fat mass.